Use the Startpage Proxy to browse websites anonymously | ComTek Computer Services Inc. There is another aspect to this: trust. Many proxy servers on the Internet have a bad reputation. They may add contents of their own on sites, limit how many pages you can open, are terribly slow or may even track your usage and sell information to other companies. One way around this is to use search engine caches. They work similar to proxy servers as they provide you with access to contents of third-party websites. While scripts and all that won't work, it is usually enough to display all the important contents on that site. Google Cache is a popular choice for that and the main reason for it is that Google crawls a high volume of pages which in turn means that the chance is good that a cached copy of a page exists even if it was updated just a moment ago. I don't use Google a lot anymore, mostly for this site and others that I run. 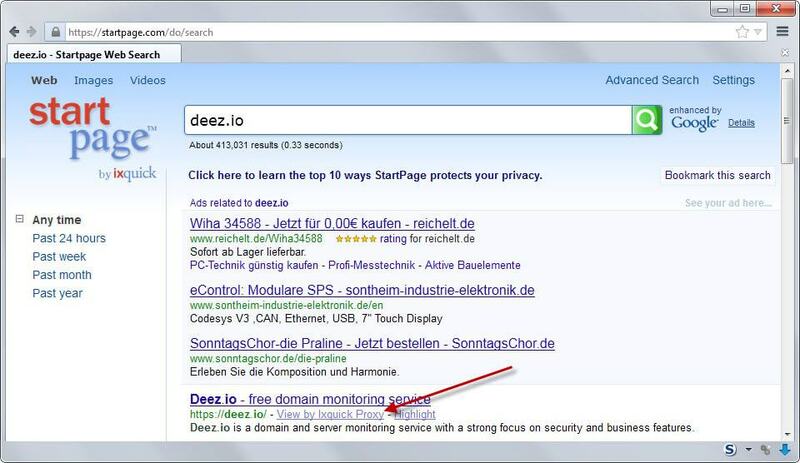 My search engine of choice is Startpage for example and it too offers proxy access to websites. The best option to use its proxy service is to search for the url or domain name of the site you want to access anonymously. If things go well, it should be displayed among the first results. There you find the "View by Ixquick Proxy" option that you use to access the page using a proxy service maintained by the company behind Startpage. A click on the the proxy link opens the selected website with the help of that proxy. 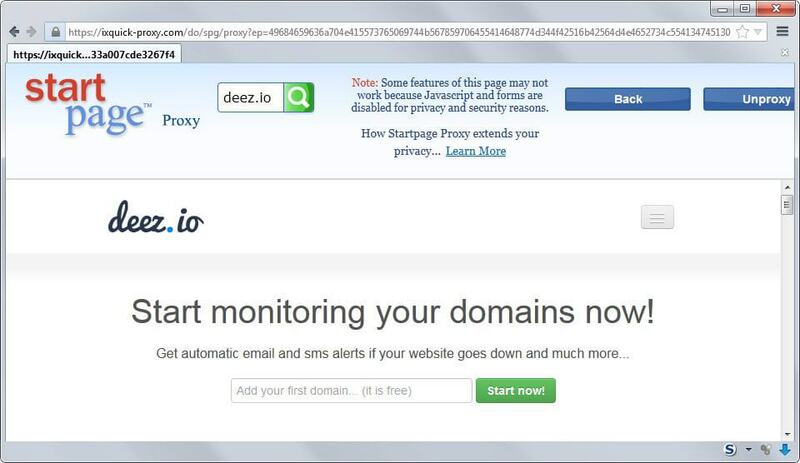 The Startpage proxy works like proxy servers and not like search engine caches. This means that it will retrieve the webpage you have selected for you and display it to you afterwards. This means that only Startpage's IP will be listed in the log file of the server and that cookies won't be stored on your computer either. Another benefit is that the proxy is being used in that tab for all links that you click on. In other words, you can navigate the whole website using the proxy which you cannot when you use search engine cache's unless you use extensions that provide you with that functionality. The downside is that pages load slower and that pages that are not available at the time won't be displayed at all. If that is the case it is still possible to switch to Google's or Bing's cache to display the contents.